“You Hawaiian lawn gnome people are very strange.” (Kindle Location 2314). Megan has known Lani for quite some time, but she never knew Lani was different. In fact, Megan never knew that she herself was different. Both girls are only half human. While Lani lives with both her parents, Megan’s dad has been absent for most of her life. When she finds out her dad is in trouble, though, she jumps at the chance to help save him. Aided by the pixie Ashling and her Crow, Cassia, and eventually a real live almost-knight, the girls set off on their quest – only to be interrupted by the politics in faerie land. They must first appease the faerie leader before saving Megan’s dad, but they find out that he didn’t just accidentally get himself into the mess he’s in, he was set up! A full on political war with all sorts of odd creatures rages and Megan must figure out what to do and in the process figure out who she is and what she wants to be. Megan has ADHD. The whole book is one big batch of ADHD and to someone who has never had anything like ADHD it is very peculiar. The books that mimic the thing they are talking about are rare and sometimes hard to follow. In Foul is Fair, the writing style, dialogue, and descriptions are written in the style of ADHD. The feeling one gets while reading this book is that thoughts are somewhat scattered and random. Many of the plot points and motivations seem random. Even from the beginning you are plunged into the story without too much of a foothold before the action ramps up and takes away running with you. It is very different to be reading a book like this. If this is how Megan and others with ADHD feel and interpret the world, boy do I get it now. This book, as it is the first in a fantasy series, takes a lot of time to build up the world and the political scene. Faerie land is complex and so are the creatures. 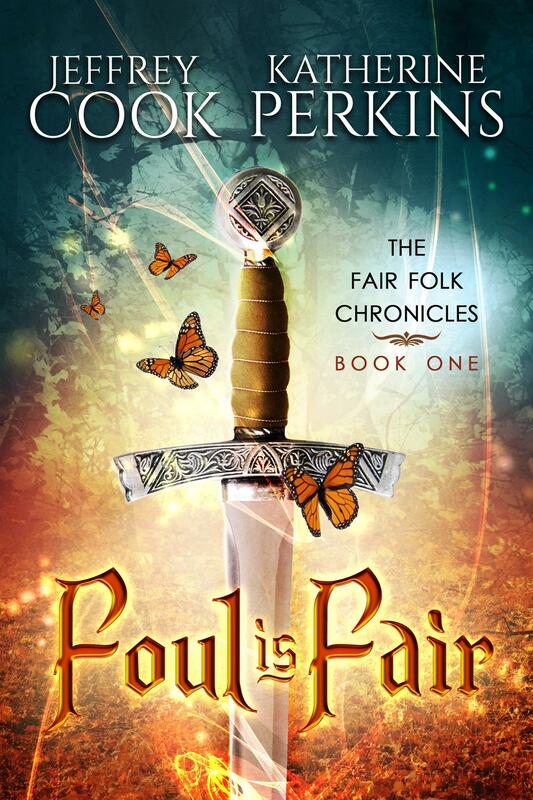 If fantasy with lots of different creatures and different types of relationships and a complex other-universe with its own laws and guidelines is your thing, you will love the Fae Chronicles. I’m more of a character lover than a complex fantasy world lover. Megan and Lani were characters I enjoyed. They were both very different from each other and somewhat unique as characters. Megan personified ADHD, but she was also artistic and musically inclined. Lani was some interesting ethnic mix and her family, being openly (to each other) faerie inclined, were super odd and fascinating. This novel was published through Amazon Digital Services May 5th, 2015 and is available on Amazon here.